Síolta is the National Quality Framework for Early Childhood Education. 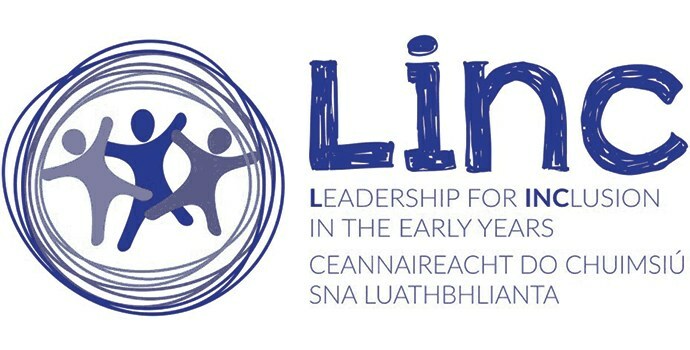 Síolta is designed to define, assess and support the improvement of quality across all aspects of practice in early childhood care and education (ECCE) settings where children aged birth to six years attend. Aistear is the curriculum framework for children from birth to six years in Ireland. It describes learning and development through the four interconnected themes of Well-being, Identity and Belonging, Communicating, and Exploring and Thinking. Four sets of guidelines, focusing on different aspects of pedagogy, describe how the adult can support children’s learning and development across these themes. supporting learning and development through assessment. The Early Childhood Curriculum Framework (NCCA, 2009) and Síolta, The National Quality Framework for Early Childhood Education (CECDE, 2006) together to develop the quality of their practice and in doing so, to better support children’s learning and development. The Practice Guide includes a range of resources to help practitioners to critically reflect on their practice and to identify what works well. Additionally, the resources available in the Practice Guide can help practitioners to identify priorities for development and to plan actions for positive change. In this way, the Practice Guide can be used for on-going review, to develop and to improve practice informally, either individually and in staff teams and more formally, by engaging with an Aistear Síolta mentor. As part of the The National Síolta Aistear Initiative (NSAI), Síolta Aistear mentors have been identified across the country from City and County Childcare Committees, National Voluntary Childcare Organisations, and Area Based Childhood (ABC) Projects. We have two Siolta mentors based in Galway Childcare Committee. Contact stacey@galwaychildcare.com or sinead@galwaychildcare.com for more information. The Early Childhood Curriculum Framework and Síolta, The National Quality Framework for Early Childhood Education. The NSAI is being funded by the Department of Children and Youth Affairs (DCYA) and is being developed in collaboration with the Department of Education and Skills (DES). Two national coordinators have been appointed as part of the initiative; the Aistear Coordinator who is situated in the National Council for Curriculum and Assessment (NCCA) and the Síolta Coordinator who is situated the Early Years Education Policy Unit (EYEPU) in the Department of Education and Skills. In September 2016, the Department of Education and Skills published the Action Plan for Education outlining objectives and actions to improve the quality of early years care and education in Ireland.